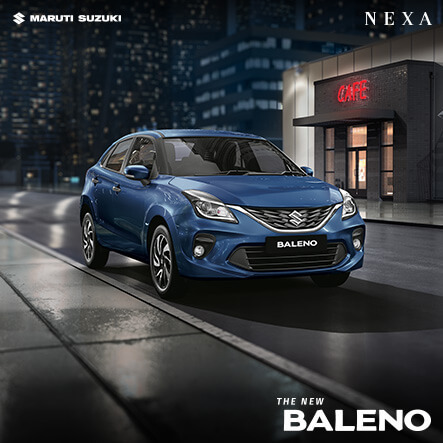 NEXA MG Road is premium car showroom that provides exclusive automotive experience to the customers. We have always believed that sale is not the end of a relationship but the beginning of our relationship with our customers satisfaction with excellence. Reputed Brand Name of PASCO. 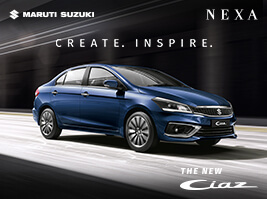 Pasco Group is heading the dealership of Maruti Suzuki India Ltd. in Gurgaon under the name & style of Pasco Automobiles. It is the largest selling dealer in North India in Sales, Service and Spares having its own world class showroom and state of the art workshop and BODYSHOP under one roof located at 6, Palam Gurgaon Road, Gurgaon (Haryana). Took over the reigns of Pasco Automobiles independently in 1989 as the Managing Director. Currently Heading the Pasco Group as the President. Appointed honorary Consul General of the Republic of Latvia in New Delhi, India with effect from 27th Nov. 2007 Member of Worldwide "Enterpreneurs Organization" - Delhi Chapter. It was founded in 1987, registered at Alexandra, VA, USA and it has grown considerably since then, from a young group of bright, successful enterpreneurs to the leading global organization, dedicated to foster the future of young enterpreneurs. Member of worldwide "Young President's Organization" - Delhi Chapter, registered at Irving, TX, USA. It is world's premier "Peer to Peer", global community network of Young Presidents. 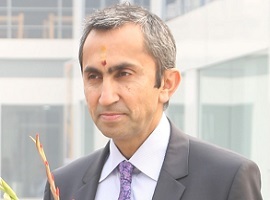 Member of FICCI and CII. Awarded the 'Aaykar Ratna', an award conferred on the highest tax payer in the country, in the year 1999 by Mr. Yashwant Sinha, the then Finance Minister of India and an eminent personality of India. Awarded the 'Best Entrepreneur of the year' Award in 1999 by Mr. Osamu Suzuki, Chairman and CEO, Suzuki Motor Corporation, Japan. PASCO Group is one of the largest and most reputed business groups in North India. The Group"s principal activities are Sales and Service of Automobiles both Passenger cars and Commercial vehicles with 3S facilities. PASCO became operational in 1967 with the sole motive of providing its customers with high standards of Sales & Support Services in the Automobile Industry. 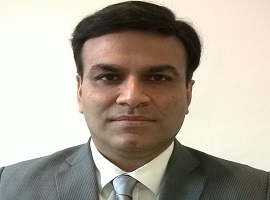 The group is owned by Mr. Sanjay Passi. The PASCO group comprises three companies - Pasco Automobiles, Pasco Motors. 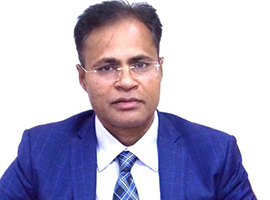 K.P.Gupta has 25 years of experience in Finance and Legal Secretarial. He has held various positions in the finance function, having been involved with financial planning, business finance, fund raising, investment of surpluses, treasury, secretarial, negotiation on contracts with customers & partners, and defending litigation. Awarded the 'Aaykar Ratna', an award conferred on the highest tax payer in the country, in the year 1999 by Mr. Yashwant Sinha, the then Finance Minister of India and an eminent personality of India. Awarded the 'Best Entrepreneur of the year' Award in 1999 by Mr. Osamu Suzuki, Chairman and CEO, Suzuki Motor Corporation, Japan. 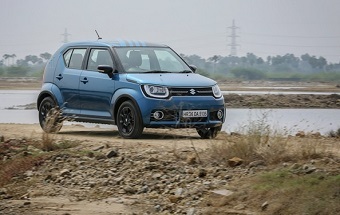 During Maruti Ignis review the first thing to notice was the stark difference that the carmaker have brought in terms of design with this new premium hatchback. 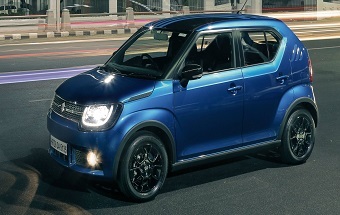 The Ignis breaks free from the Maruti Suzuki Traditional design pattern. 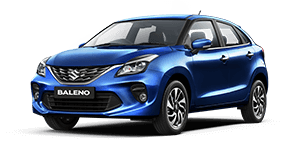 I have purchased a new car Maruti Suzuki Baleno Alpha from Nexa MG Road Showroom at Siknaderpur, Gurgaon on 10th August 2016. The staffs are very good & cooperative also Sr relation manager Deepak Paliwal is also a very good person & manager who was brilliantly co-operated with me. Overall my review & my experience is very much excellent.I just feel like home. This is to thank you for introducing us to NEXA. 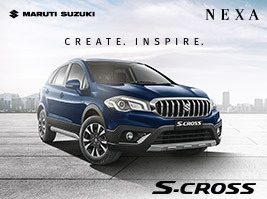 I bought a Maruti Suzuki Scross, We are almost completing 10,000 KMs on the Odo and are very satisfied with the said Cross Over. You indeed made the entire process of buying the car a very pleasant experience and it was very smooth transition from our previous car to this Cross over. We have also visited Pasco workshop for servicing and its been a great experience so far. Will be soon visiting for 10K service. 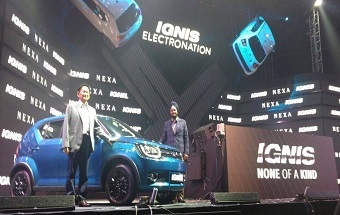 I Have purchased a new Maruti Suzuki IGNIS Delta 1.2 petrol from NEXA MG Road showroom on 14th Feb 2017. The staff are very cooperative. R.M. Mr. Sharvan Bhalla is also very nice and cooperative person. My experience is very excellent through this dealing. I hope you considered the same in future. I have purchased a new Baleno Alpha Petrol variant from Nexa MG Raod Sikandarpur Gurgaon showroom on 15th February’17. Like to share my experience with NEXA. The showroom was well maintained with respect to Car display, Hygiene and Cleanliness. Showroom staffs shown good hospitability, gave proper guidance and were helpful. Mr. Shoaib (my relation manager) was very supportive, timely provided requested information, addressed and resolved all problem/difficulty throughout the process. Overall the experience was good and delightful. Looking forward for the same experience in future too. We invite you to be part of the PASCO Group. We would love to share this large work space with you. Please fill the form and attach your resume. Our Human Resources Department will contact you soon. Currently there are no vacancies. Please visit us again To see our career page.